Shipped from Hong Kong. Socks at the end length of about 10 cm . Neonatal modeling socks for 0-1 years old baby . 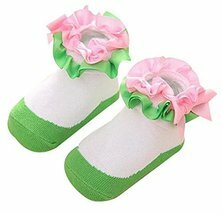 With the soft material of cotton, babies can wear it comfortably. Babies and parents will be satisfied with the lovely creative design. They are also the best gifts for friends. really nice and cute.